I’ve been there. When the economy went down the toilet a few years back I lost my job and I had debt collectors calling me and harassing me for money I didn’t have. They called my friends, my mom, and even my girlfriend’s parents! The good news is you don’t have to put up with that crap anymore. Use this guide to fight back against rude debt collectors and even make them pay you! Any account number you have for the collection. I have created some downloadable templates you can use to easily create your cease and desist letter. Under the Fair Debt Collection Practices Act sec. g 15 U.S.C. §1692g (FDCPA) and Fair Credit Credit Reporting Act you have the right to request proof that the debt is valid and indeed yours. Many collection agencies are quite sloppy operations and don’t keep records as well as they should. That’s why according to the Federal Trade Commission (FTC) 50% of debt validation requests result in the debt not being validated. 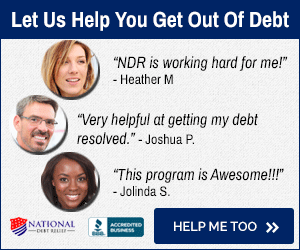 There are two ways to request a debt validation. The first is to do it yourself which requires study of the FDCPA and the many loopholes that bill collectors will try to use to avoid validating the debt or have it done for you. This is the most important step if you want to make bill collectors pay you! After you’ve sent your cease and desist letter and requested a debt validation. You must document every single time they call you, a family member, or your job. When they call make sure to ask for and record the name of the person calling plus document the date and time they called you. If you can catch them on tape cursing or being abusive that’s even better! If they continue to contact you then you should file a complaint with the Federal Trade Commission. This will help you make your case in step 5. You may go here to file a complaint with the FTC. So long as you have documented that they continued to call you even after receiving a cease and desist letter and a debt validation request you should win easily. Under the FDCPA you are entitled to a minimum of $1,000 per violation and that’s even if you suffered no actual loss! Have All This Done For You!